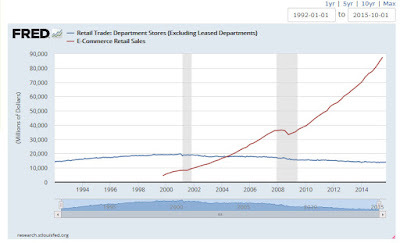 Looks like Department Stores peaked out in 2001 with $20B in sales, and today department stores can expect around $14B in sales. This is about 30% lower than 2001. Definitely significant. 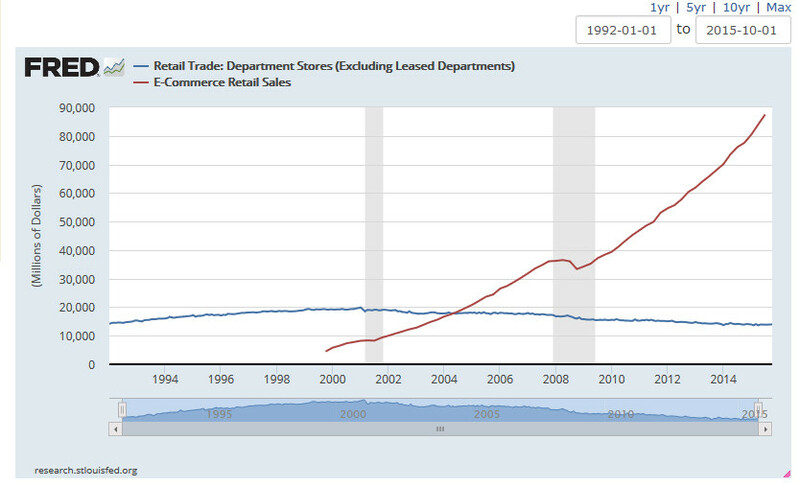 You can also compare Department Store Sales to online retail sales by simply clicking on the add data series button. 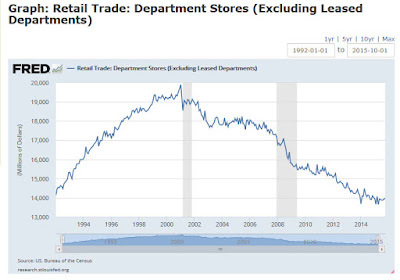 This graph indicates Department Stores' sales have leveled off, and the diminishing amount of sales (30%) is insignificant compared to the amount online retail grew. 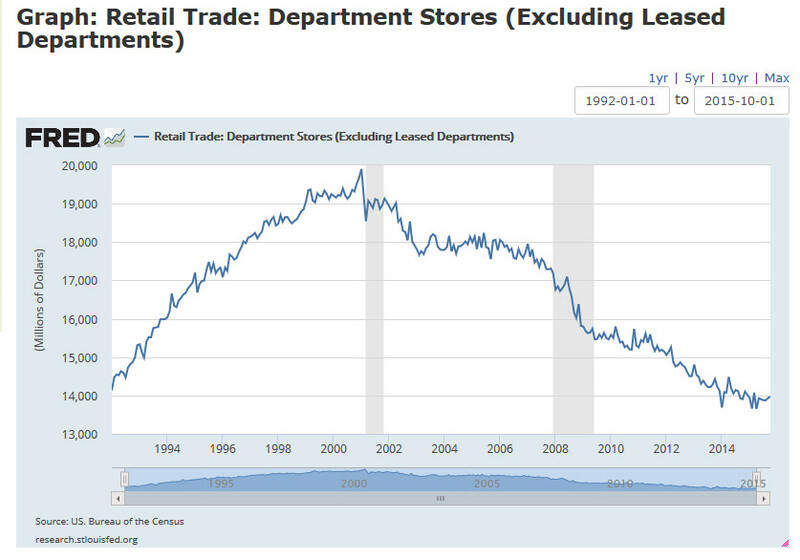 I would not say Department Stores are suffering due to online retail at all, but are likely showing the results of changed shopping habits. All of the department stores are smart, and using the web to their advantage. Nonetheless, the scale of the new graph makes $6B in diminished sales look flat because online sales went from $5B to $87B, or more than 4 times the peak of Department Store Sales. Graphs and statistics, if not used responsibly, can lead to erroneous conclusions. Go on the site, and experiment with some graphs. They show trends, but are not a crystal ball where a person can read future events. The use of this data is a good guide to investing. I love to geek out and see examples of trends I have suspicions may exist, or proof I am wrong!